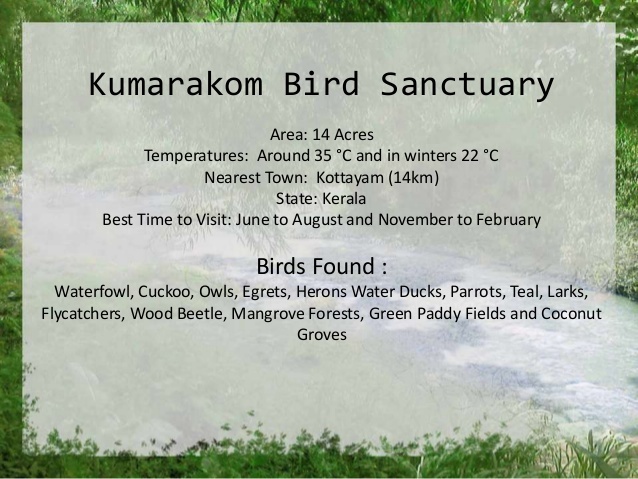 Kumarakom Bird Sanctuary is among the most popular bird watching spots in the country. Spread out over 14 hectares, one comes across numerous rare avian species in these parts. 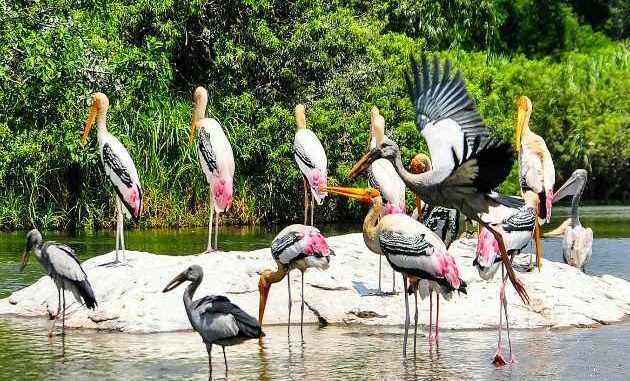 A visit to the bird sanctuary, set within the lush acres of wooded land nearby, acquaints you to the variety of migratory birds that flock in thousands, some from the Himalayas, some even from as far as Siberia. In addition, you can get thrilled of the native kingfishers ablaze in psychedelic colors, experience a walk under rookeries of egrets and night herons or lone golden-backed woodpeckers and even delight in the acrobatics of the paradise fly-catchers.. 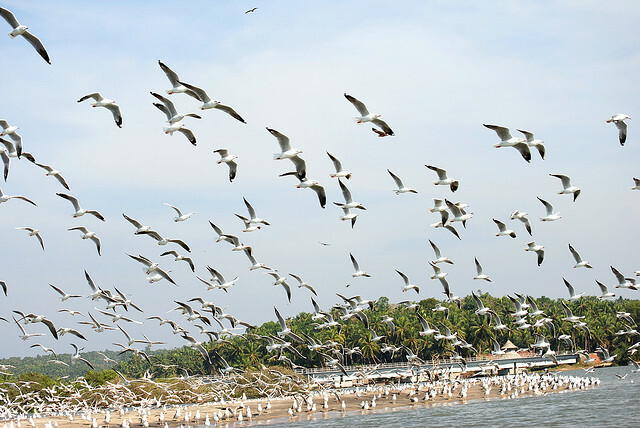 Birds Sanctuary is located on the banks of the Vembanad Lake, the bird sanctuary is spread across 14 acres. 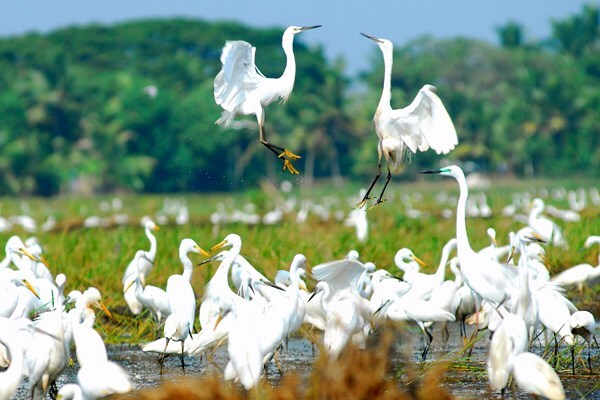 The Kumarakom Bird Sanctuary, an ornithologist’s paradise is a favorite haunt of migratory birds like the Siberian stork, egret, darter, heron and teal. We can see pelicans, different types of cranes and hundreds of Indian cormorant. The Indian cormorants are the most commonly found birds around all backwaters in Kerala. These birds are also known as “Indian shag” and is a member of cormorant family of birds. The best time to bird watch is between June and August. To watch Migratory birds, November to February is the best time. People who visit in June and August are treated to many rare sights. This is the breeding season of the resident wetland birds such as Indian Darter, Little Cormorant, different species of egrets and herons, White Ibis and several species of kingfishers. People also get to see the waterfowl, cuckoo, owl, water duck, Siberian Cranes, parrots, teal, larks, flycatchers and wood beetles. Boating trips around the sanctuary is extremely relaxing and this is among the most visited places in Kottayam district. The main attractions are local birds like the waterfowl, cuckoo, owl, egret, heron and the water duck, as well as the migratory Siberian cranes. Parrots, teal, larks, flycatchers, wood beetle, and other birds are seen here during their respective migratory season. The entrance of the bird sanctuary is covered with the boards for the hotel and we were confused for a moment whether we are in the right place. The board for the bird sanctuary is sort of hidden behind the boards of the hotel. It seems they want to promote only the hotel! The security officer at the gate confirmed we are in the right place. However, everywhere people were asking if we want a boat ride, which were private services outside the sanctuary. I believe these staff get commission from the private boat operators for arranging guests. On your Houseboat cruise you can see the birds. 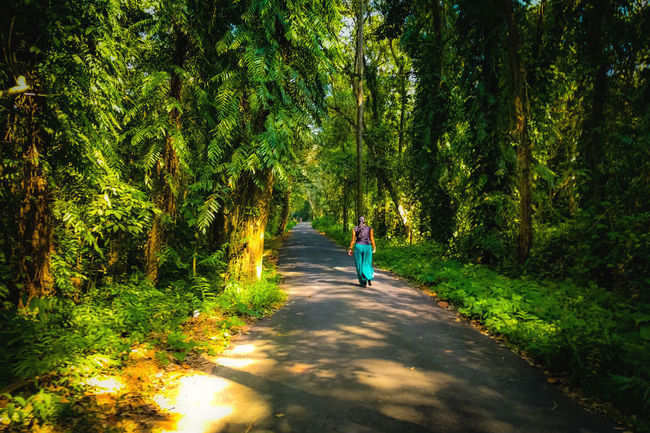 To reach Kumarakom Bird Sanctuary by road, one can hire local cabs or taxis from Kottayam which is around 13km from the sanctuary. By Train: Kottayam Railway Station with a distance of 12km serves as the nearest railway station to this gorgeous wildlife reserve. There are no shops and you won’t get any food including water anywhere once you enter the bird sanctuary. There is a small coffee house near the ticket counter, which serves just coffee and ice creams. All the birds are at the end of the place. So, don’t return in the middle.